Knights Brown is constantly on our radar since we re-branded the company and designed & built its website in 2018. Glow regularly has numerous projects underway with Knights Brown, whether they’re in progress, or still at the ideation stage. One of the latest projects was an interesting one, and something we’d not designed before…air fresheners. ‘What do air fresheners have to do with a construction company?’ I hear you ask. 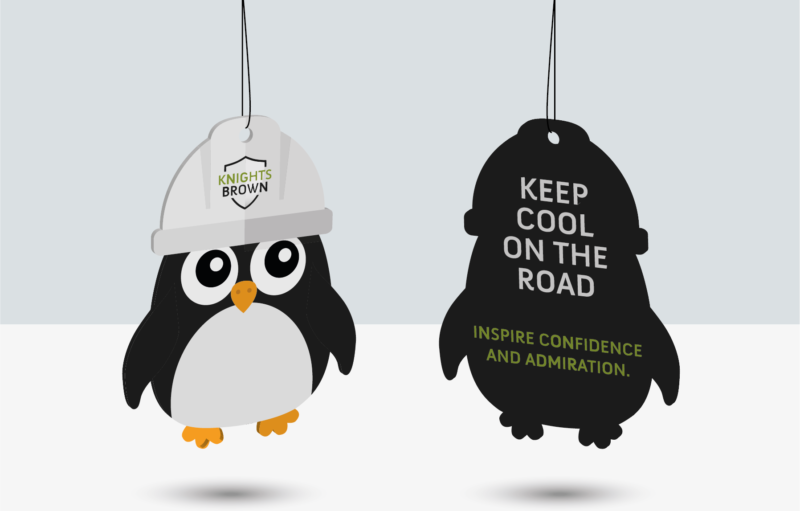 Knights Brown has a lot of vehicles on the road, and no matter how HOT or cold it may be outside, the team at Knights Brown believe it’s important to promote the importance of keeping cool while driving – in this weather, that includes a cool body, not just a cool head. Between us, we came up with the idea of fun, cartoon-style penguin and polar bear characters. 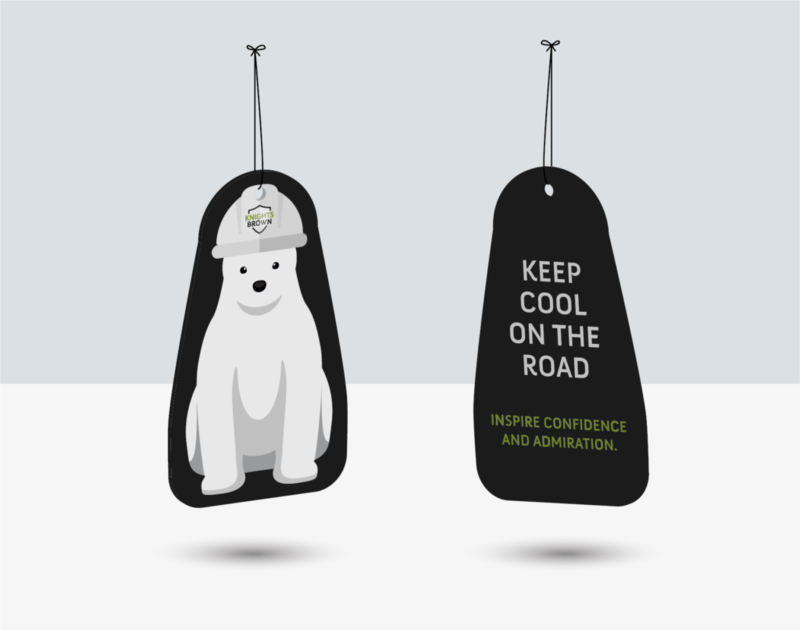 These little creatures will now adorn company vehicles, keeping the vehicles smelling fresh and acting as a gentle reminder to remain cool and calm while driving.